Rihanna's rocky relationship with her father reached its height earlier this year when the Grammy award-winning artist sued her dad, Ronald Fenty, for exploiting her name. The singer is accusing the 65-year-old of falsely advertising himself as her rep through a talent development company called Fenty Entertainment. 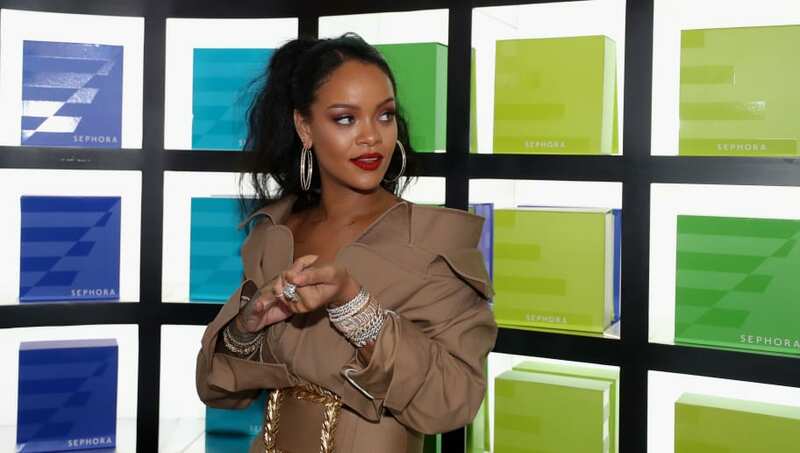 The lawsuit filed by Rih back in January is just one of Fenty's worries at the moment, as the Barbados-native is reportedly being sued again for exactly what the singer's lawsuit alludes to. According to TMZ, rapper and YouTuber Harvey Justice--aka Chef Henny--is suing Ronald and claims he told him multiple times that he repped Rihanna. Justice claims Ronald told him Rihanna plays a central role in Fenty Entertainment, which earned the YouTuber's trust. Justice signed Fenty in April 2018 and was promised a $750k marketing budget, but he only received $50k. However, Ronald is insistent that the rest of the money is being held up by a South American investor. We were saddened to hear Fenty was exploiting his superstar daughter's name when the news of the Rih's lawsuit came out, and it's even worse that he was evidently attempting to take advantage of an up-and-coming artist as well.